The Club of Helsinki is a non-profit organization that offer possibilities to co-create urban development projects that prototype new integrated and sustainable business and management models. The organization is founded by designer Ilkka Suppanen and strategist Tanya Kim Grassley, in close collaboration with innovator Karina Vissonova and ambassador Brent Richards. 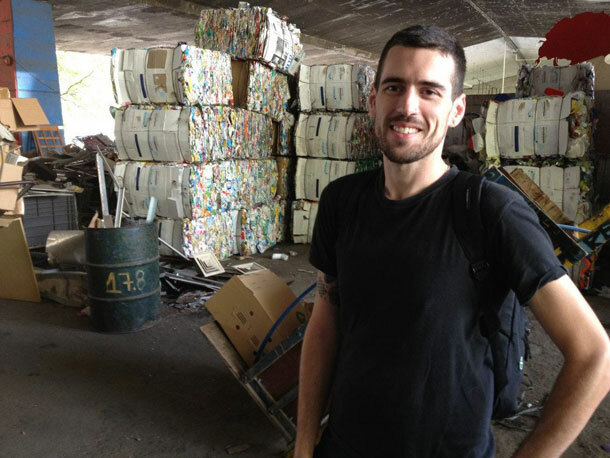 In 2013 The Club of Helsinki will launch its pilot project, Angels of Sao Paulo, together with research partners University Sao Paulo (USP) and Massachusetts Institute of Technology (MIT) – in close collaboration with a recyclable materials collecting cooperative in Sao Paulo, Brazil, called Coopamare. The project’s corporate ‘pathfinder’ partnership model offers companies an opportunity to combine social responsibility with business and brand development. The first, in cooperation with MIT SENSEable Cities Lab, will create a GPS platform and digital services to help make the collection, processing and delivery of recyclable materials more effective. The second focus area, together with Umbilical Design from Sweden, will develop tooling for a new material product. The third area developed in cooperation with the University of Sao Paulo focuses on business development and new business models for the activities. The fourth area focuses on community development and needs such as healthcare, housing and education.